Treehorn Cider, the first local craft cider brand in the Atlanta market, has just released its first seasonal cider, a subtly spicy three-chile cider named El Treeablo. As a limited-time release, El Treeablo will be available from February through April of 2017. “Our first true seasonal release comes in the middle of winter, when we can appreciate a cider with a little kick to it,” says Mallory Law, one of Treehorn’s ciderists. And this kick comes with a story, too. 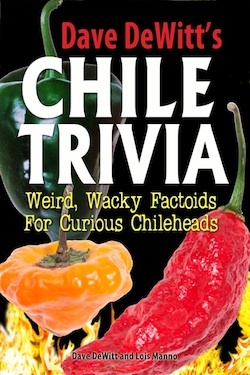 The balanced heat in this cider comes from a perfect combination of habaneros, jalapeños and most importantly Hatch chiles, a taste that Law and Head of Quality Assurance, Kathryn Pierce, gained during their time living in New Mexico. 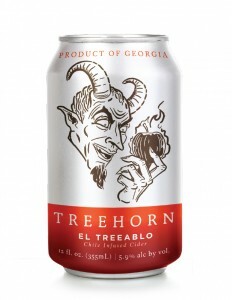 Though the heat of New Mexico is what inspired this seasonal cider, Treehorn wanted to make El Treeablo a distinctly Atlantan beverage. 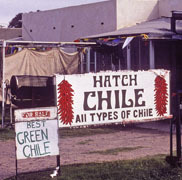 To that end, Treehorn partnered with famed barbecue haven, Fox Bros. Bar-B-Q, to roast their first batch of Hatch chiles. A perfect pairing with everything from a rich, hearty winter stew, to tacos, to a sweet dessert, the slightly spicy kick of El Treeablo is only available for a limited time. For up-to-date information on El Treeablo, Treehorn and more, “like” Treehorn Cider on Facebook or follow on Twitter &/or Instagram at @TreehornCider. Marietta-based Treehorn Cider is the premier local, sustainable craft cider brand in the Atlanta area. Available in restaurants, bars, package stores and growler shops throughout Georgia, Treehorn is best known for its clean, crisp and refreshingly dry taste. In addition to El Treeablo, Treehorn currently offers three year-round varieties: their flagship Treehorn Dry, ginger-infused Ginger Reserve and hop-infused Hoppy Little Trees. 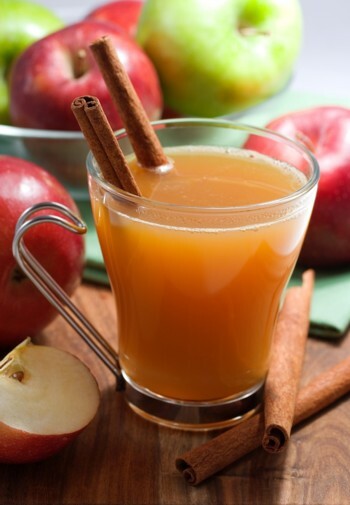 For more information on Treehorn Cider, visit http://www.treehorncider.com.